In my previous blog, we covered some of the options for connectors that support Kerberos, today we will focus on two more connectors where Kerberos use cases frequently pop-up: the Anypoint Connector for Hadoop. Before we cover security, let’s take a look at how we might connect to Hadoop and provide some context through a use case. N.b. This is a quick way to build an API with minimal definition; however, it is not the best practice approach. For best practices guidance see here. Use the “Test Connection…” button to make sure the connection parameters are correct and the communication is working as expected. For the sake of this example, I made the assumption that the customer ID value is included in the payload. If we save and run this project, we have the first part of a working HDFS-based API. 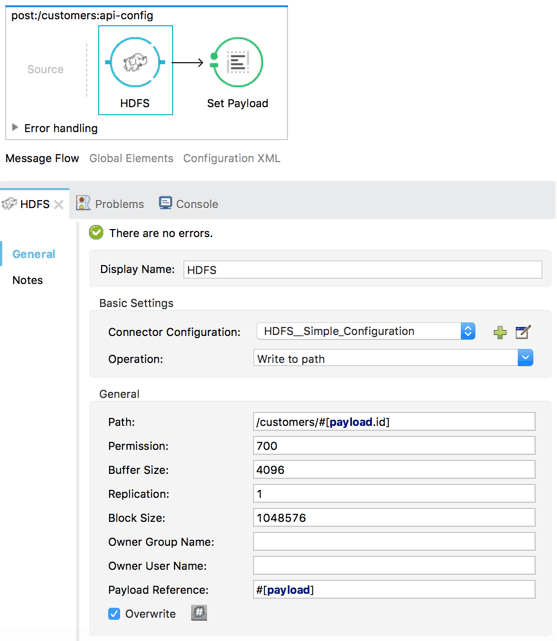 Learn more about using and configuring the HDFS connector. This time, we need to amend our username to include the REALM or Domain, and then provide the location of the keytab file. We also have to make sure to consult our Hadoop administrator to confirm the connection parameters and obtain the appropriate keytab file. 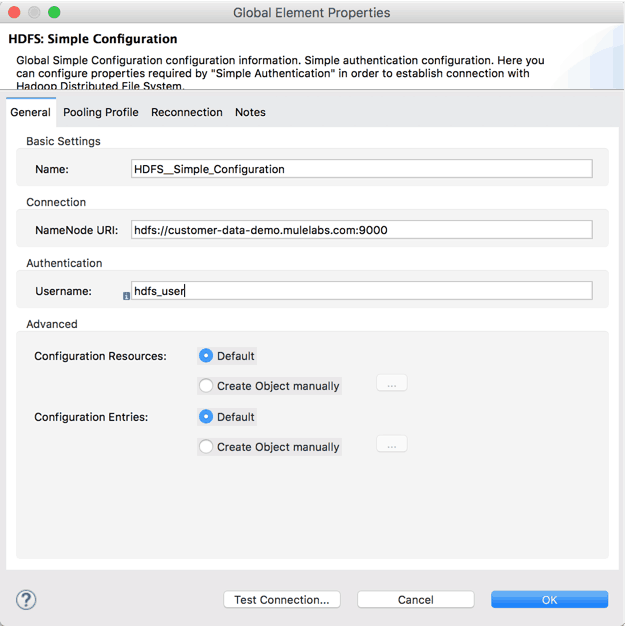 It is important to set the additional properties required for a CloudHub deployment as highlighted in Part 1 of this blog and shown in the documentation. 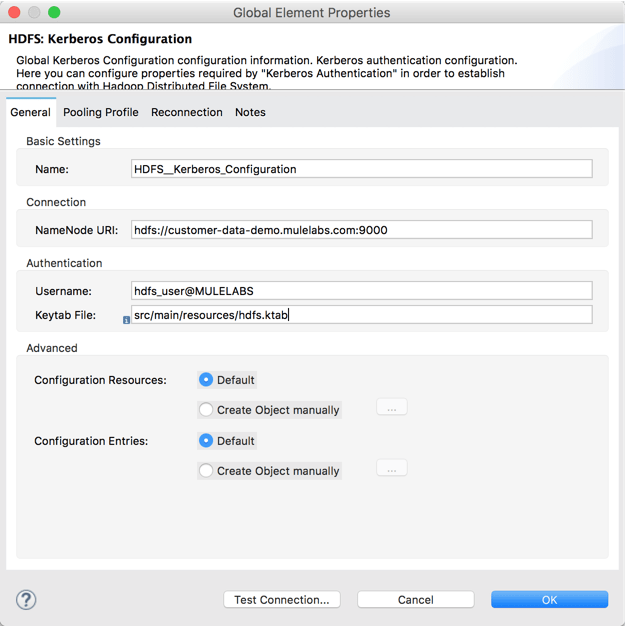 As you can see MuleSoft provides robust support for Kerberos authentication across our set of third-party connectors, further documentation on these and others can be found in Anypoint Exchange. I encourage you to download and try them out with Mule 4 and Studio 7 for the latest experience. Get started by downloading today! Check out our other blog posts on Mule 4 and register for our upcoming webinar on what’s new in Mule 4.